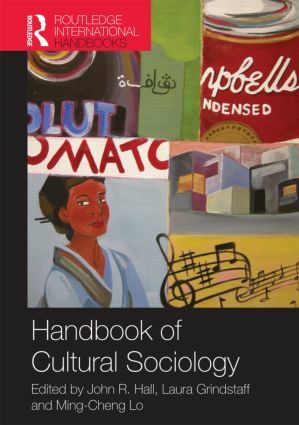 The Handbook of Cultural Sociology provides a comprehensive overview of contemporary scholarship in sociology and related disciplines focused on the complex relations of culture to social structures and everyday life. With sixty-five essays written by scholars from around the world, the book draws diverse approaches to cultural sociology into a dialogue that charts new pathways for research on culture in a global era. Contributing scholars address vital concerns that relate to classic questions as well as emergent issues in the study of culture. Topics include cultural and social theory, politics and the state, social stratification, community, aesthetics, lifestyle, and identity. In addition, the authors explore developments central to the constitution and reproduction of culture, such as power, technology, and the organization of work. This book is essential reading for undergraduate and postgraduate students interested in diverse subfields within Sociology, as well as Cultural Studies, Media and Communication, and Postcolonial Theory. John R. Hall is Professor of Sociology at the University of California - Davis. His published works include Apocalypse: From Antiquity to the Empire of Modernity (Polity, 2009), Visual Worlds (Routledge, 2005, with co-editors), Sociology on Culture (Routledge, 2003, with co-authors), and Cultures of Inquiry (Cambridge University Press, 1999). Laura Grindstaff is Associate Professor of Sociology at the University of California – Davis. She is the author of the award-winning Money Shot: Trash, Class, and the Making of TV Talk Shows (University of Chicago Press, 2002) and has published articles on various aspects of popular culture from reality programming to cheerleading. Ming-Cheng Lo is Associate Professor of Sociology at the University of California – Davis. She is the author of Doctors within Borders: Profession, Ethnicity and Modernity in Colonial Taiwan (University of California Press, 2002). She has published various articles on the cultural processes of political and medical institutions.